While not as comprehensive as Microsoft Word's shortcuts, LibreOffice Writer will allow you to access many features within your keyboard. Those include editing paragraphs, tables, completing AutoText and resizing graphics. Soft hyphens; hyphenation set by you. Inserting a new paragraph without numbering inside a list. Does not work when the cursor is at the end of the list. Inserting a new paragraph directly before or after a section, or before a table. Move cursor to beginning of next paragraph. Paste the contents of the clipboard as unformatted text. 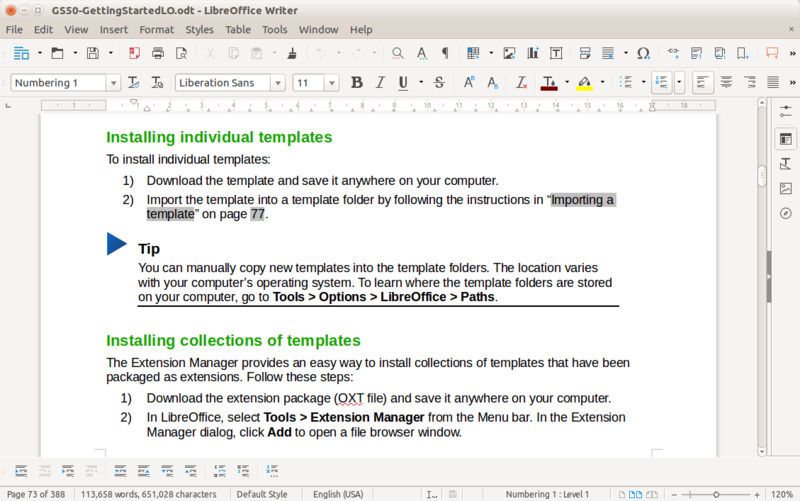 LibreOffice Writer is an open source and free word processor. It is a part of the LibreOffice software package and is a fork of OpenOffice.org Writer. It has similar features to Microsoft Word. What is your favorite LibreOffice Writer hotkey? Do you have any useful tips for program? Let other users know below.